Happy to announce that it's now possible to assign specific card templates to different card types (colors). In this way, you can truly differentiate your board's card types from one another. 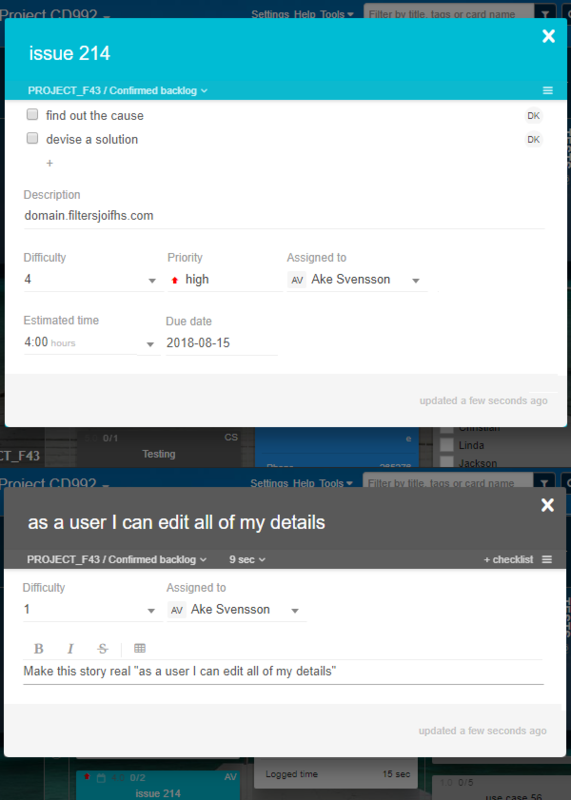 Selection of a specific card color can cause a task to display a specific set of fields, in a specific order. One thing to keep in mind here is, that in order for a custom card template to be able to use a given field, that field first needs to be chosen in the Default template. From then on, you can reorder and deactivate any field for a given card color. Please see a full, graphic description here.